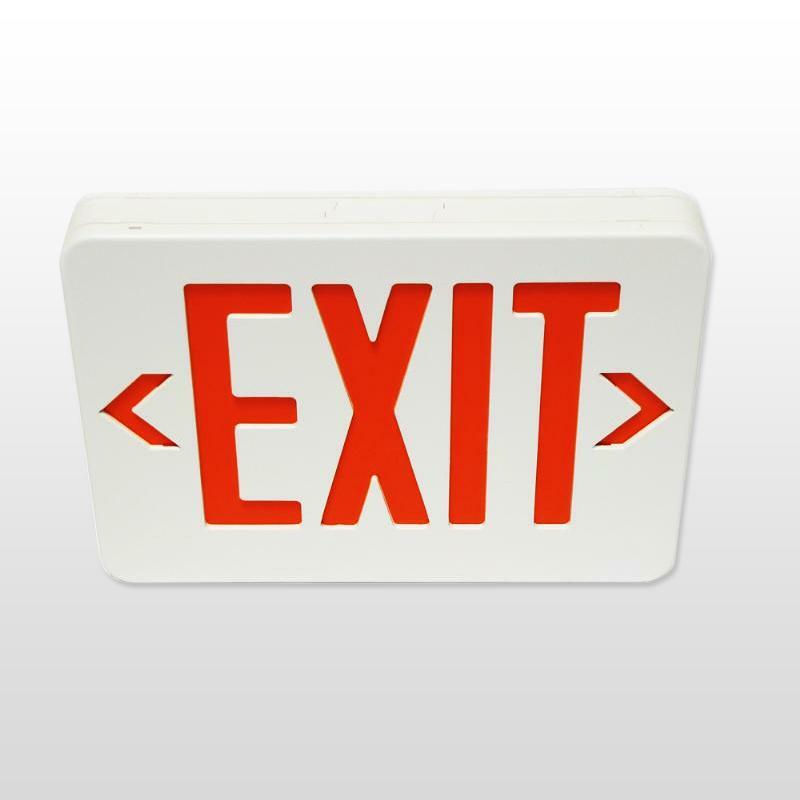 The 1200UL Series panic exit bar by Sentry Safety Hardware meets listed safety standards and is durable and reliable. 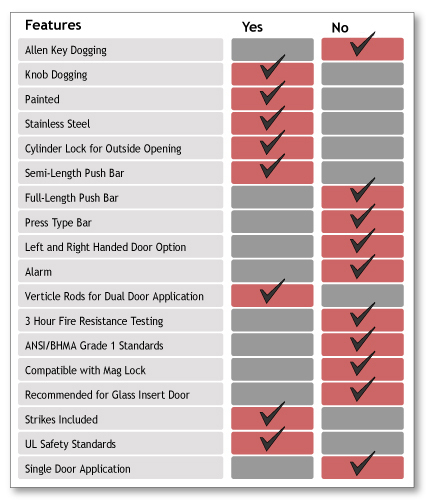 The 1200UL Series by Sentry Safety Hardware meets the UL listed safety standards, which means that samples of the complete product have been tested against nationally recognized safety standards and have been found to be free from certain risk of fire, electric shock, and other similar hazards. 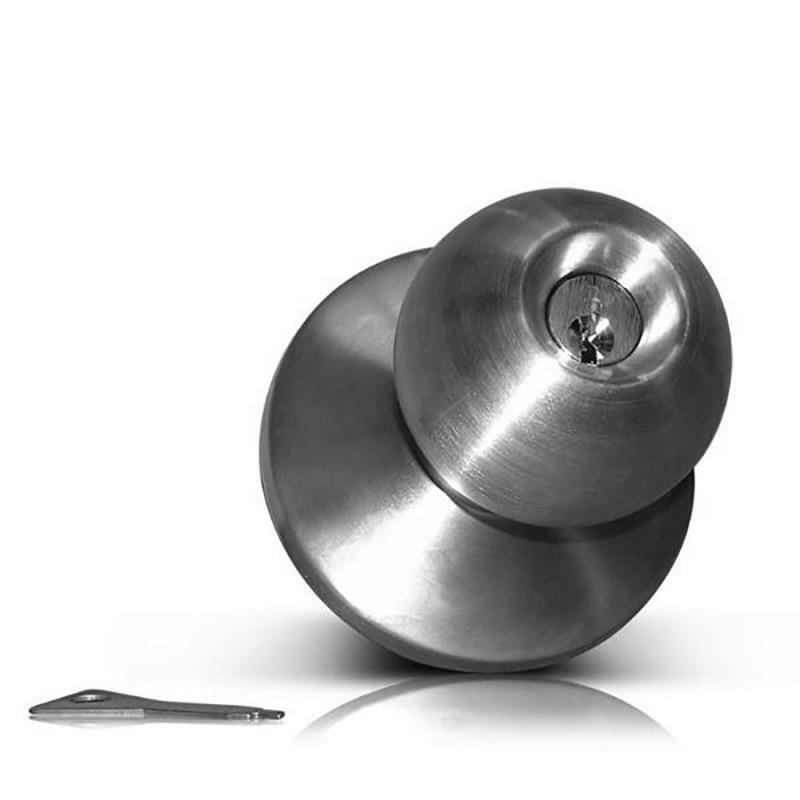 Also, the 1200UL series by Sentry Safety Hardware is equipped with knob dogging , which can be set to keep the panic bar unlocked by fastening the crossbar in the depressed position and keeping the bolts in a retracted position. This means that the door can be opened from either side, and eliminating the necessity of engaging the internal mechanisms for every use reduces the strain on the device's springs and mechanisms. The UL Listing Service is the most widely recognized of these safety certification programs. As a result, users can be sure that this safety device has met accepted and consistently tested safety standards, and will hold up in a number of situations. 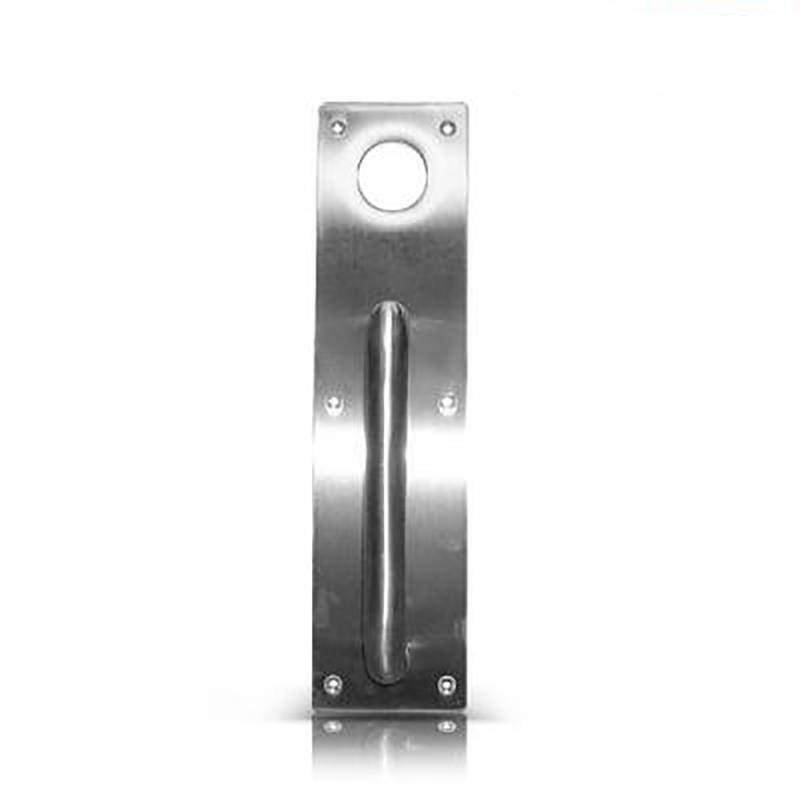 In addition, this panic bar comes with a 1/2" latch bolt and 5/8" deadlocking bolt to create a secure connection between the door and exit device, ensuring that the panic bar will function properly for use after use. 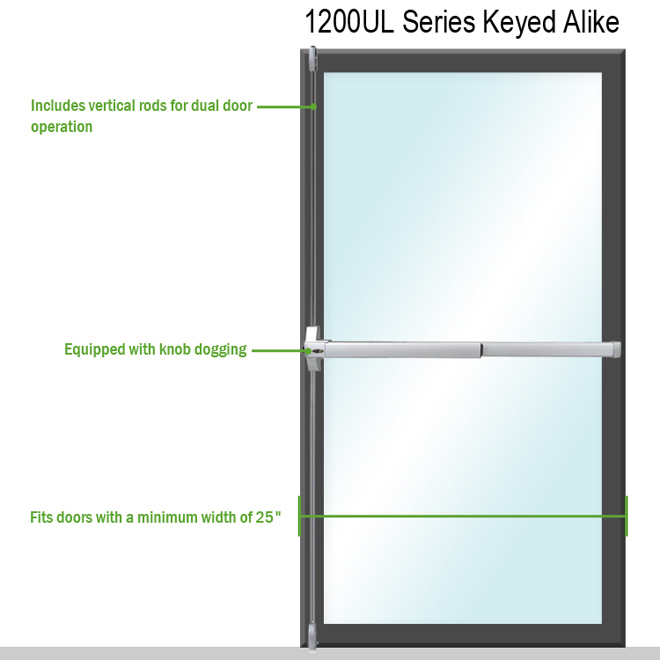 The 1200UL Keyed Alike Series by Sentry Safety Hardware gives the consumer a number of options. 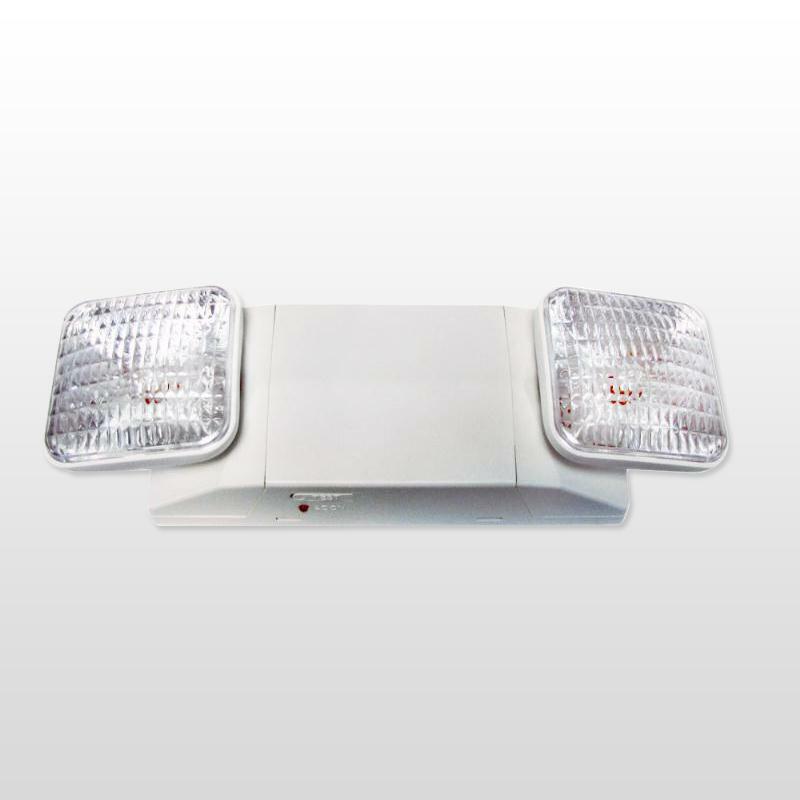 It is available with a painted or stainless steel finish, giving the customer choices in the device's appearance. However, the most important option with this series is that is designed to open double leaf doors, turning a dual door setup into a reliable and efficient emergency exit. Specifically, the vertical bars allow this model to be used on dual doors that have no column between the doors to which the bar can latch.